Preservation Surveys are an important early step in establishing and maintaining a preservation program for your institution. 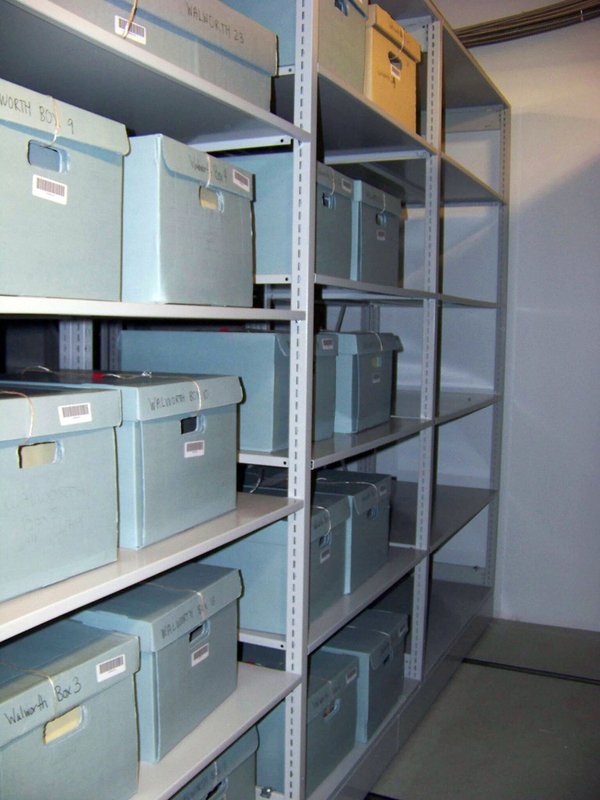 Preservation Surveys focus on preventive care and mitigating deterioration and damage by analyzing the physical environment of archives and library materials. In addition to pinpointing areas of concern and recommendations for improvement, a Preservation Survey is a valuable tool in fundraising for collections care and often a prerequisite for grants and other funding opportunities. Surveys focus on the various risks, both internal and external, to which collections are exposed. Depending on institutional need, these may encompass the total holdings of your organization or focus on a specific collection or collection format. Regardless of scope, these surveys will identify potential issues and solutions and guide short- and long-term preservation efforts. By viewing conditions on site, DHPSNY staff will gain a unique perspective on the individual circumstances of each organization. For institutions that do not have a trained conservator on staff, these site visits offer one-on-one educational and mentorship opportunities. Our preservation professionals can often share creative and affordable recommendations and solutions to your preservation problems. The Preservation Survey process encompasses a general evaluation of the institution’s preservation needs for the collections: environment, housekeeping, pest control, fire protection, security and disaster preparedness, collection storage, handling, exhibition, and treatment. Relevant staff members are interviewed to identify preservation needs. The main product of the survey is a report, including an executive summary that identifies priorities for action, specific materials in need of immediate attention, recommendations for remedial action, and establishment of short- and long-term preservation goals. DHPSNY estimates the value of this service at $6,000. DHPSNY staff is available to assist you in completing the application form. Please contact Anastasia Matijkiw, DHPSNY Program Coordinator, for assistance, questions about eligibility, or additional information at (215) 545-0613 or amatijkiw@dhpsny.org.